Kyle Orton is, once again, a starting quarterback. Prepare yourselves. Bills head coach Doug Marrone announced today that Orton would take E.J. Manuel's spot for Buffalo's game against Detroit next Sunday. The team's dropped two straight games, and in those two losses, Manuel threw 83 pass attempts for a 53.0 completion percentage. E.J. Manuel shouldn't be throwing that many passes, especially with the available running tandem of C.J. Spiller and Fred Jackson. 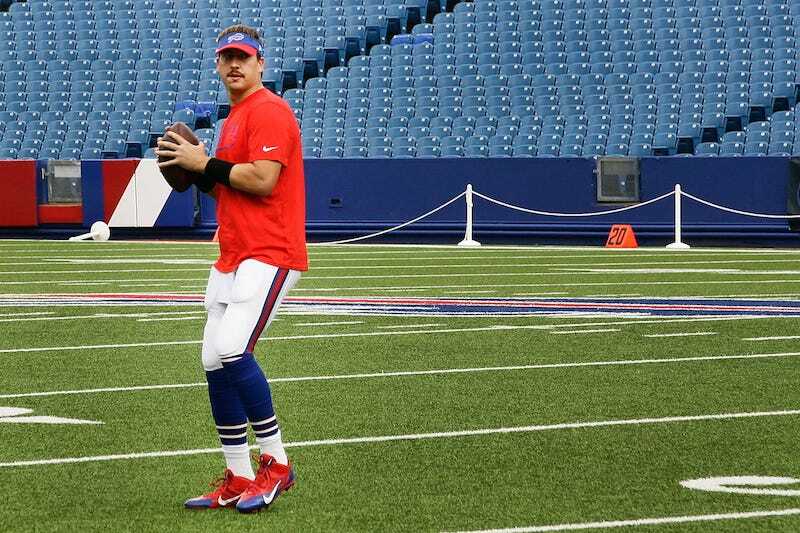 With Orton in, maybe Marrone hopes to shift to a bigger ground game. Another possibility is that the Bills just got a new owner who might want to bring in his own hires, but will wait to see how this season turns out. If the team doesn't make the playoffs, Terry Pegula's probably going to scrap everything and move forward with new people he wants.